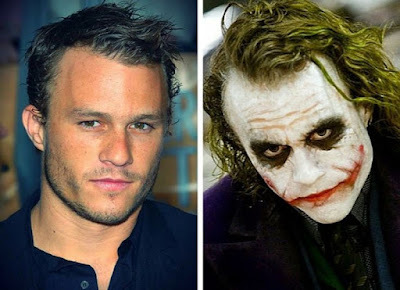 20 Shocking Facts About Heath Ledger’s Joker | Do You Know? There are few cinematic performances that are as celebrated as the late Heath Ledger’s bravura portrayal of Batman’s iconic villain in Christopher Nolan’s The Dark Knight. 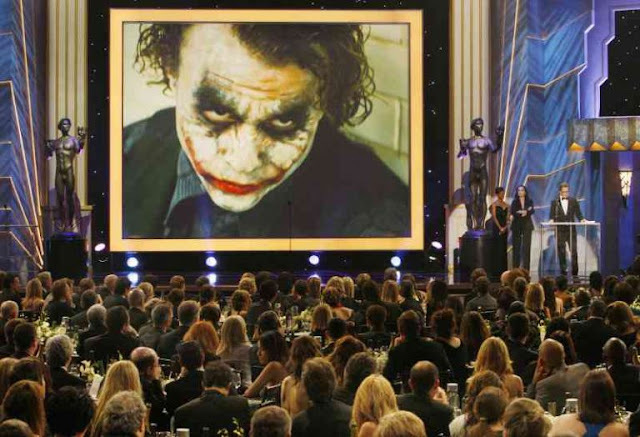 The scene-stealing role earned Ledger enormous praise and a number of accolades, including a posthumous Academy Award for Best Supporting Actor. He definitely left his mark as 'The Dark Knight' would be unimaginable without him. However, there are a lot of things you still might not know. Here are 24 things you may not have known about Heath Ledger’s portrayal of Gotham City’s maniacal master criminal, The Joker. 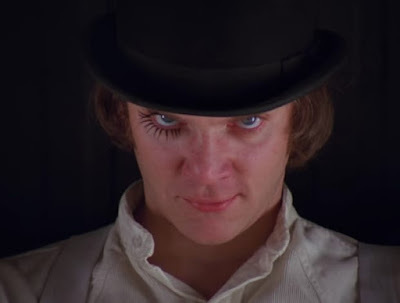 Alex De Large, the lead character from the iconic film 'A Clockwork Orange' served as the main influence for the Joker's gestures and movements. To really get into the Joker's head, Heath locked himself in a motel room for 43 days. This allowed him to feel isolated and alone with his thoughts and perfect the crazed Joker we all saw on screen. Ledger himself used to flick his tongue regularly, but he definitely emphasized this habit as the Joker. What's more, it also helped him mimic the Joker's voice and the way of speaking, as it demanded a moist mouth. 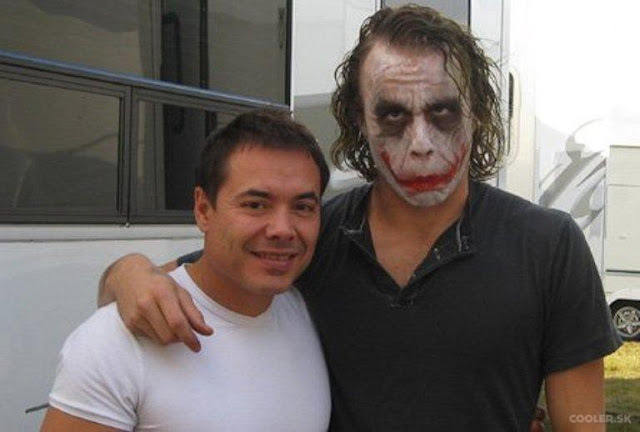 Heath designed the make-up look himself, using drugstore make-up, because he thought that's exactly what the Joker would do. Afterward, the makeup crew had a hard time copying the exact look while shooting the film. 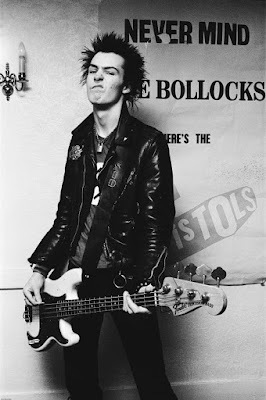 While the actions of the Joker were influenced by one actor, the appearance of the Joker was based on musician Sid Vicious. 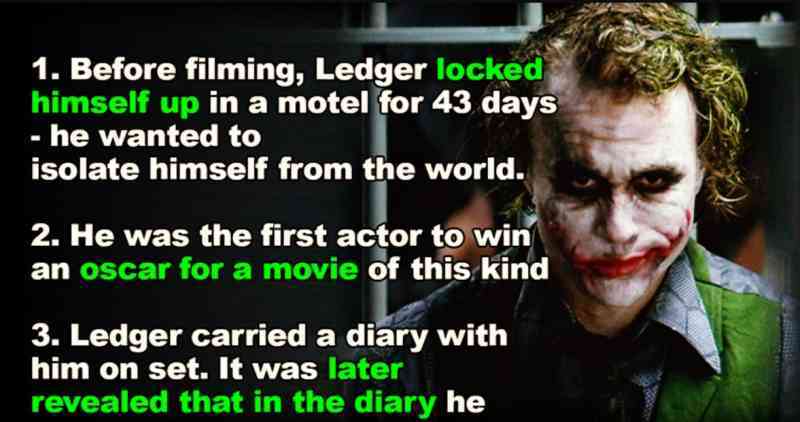 Ledger used to improvise a lot in the film. One of those improvised scenes was in the prison cell when the Joker started clapping his hands upon hearing that Gordon got the promotion. 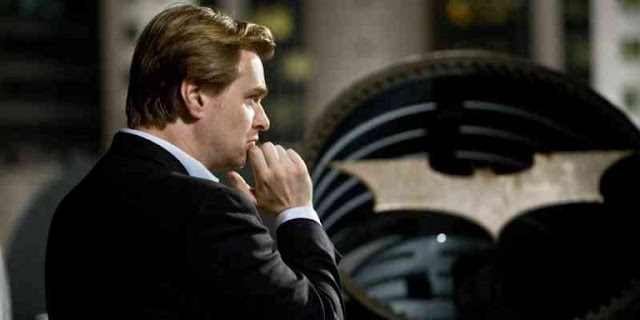 The very scene was not pre-planned, and Christopher Nolan decided to keep it in the movie. Heath Ledger is the youngest actor to have played The Joker, but it's clear he held his own against bigger, more famous actors who have taken on the iconic role. The scars on the Joker's face aren't originally from the comic books. The scars for Ledger's Joker were inspired by Gyonplaine, a character from Victor Hugo's novel The Man Who Laughs. 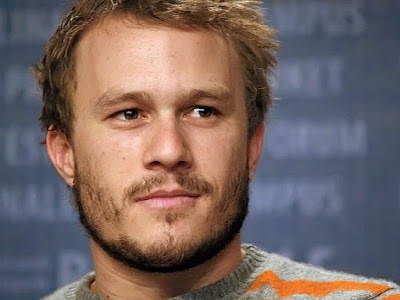 In order to remind himself of the character he was playing and his personality traits, Ledger used to keep a diary in which he recorded all the tragic news stories that were happening at the time. 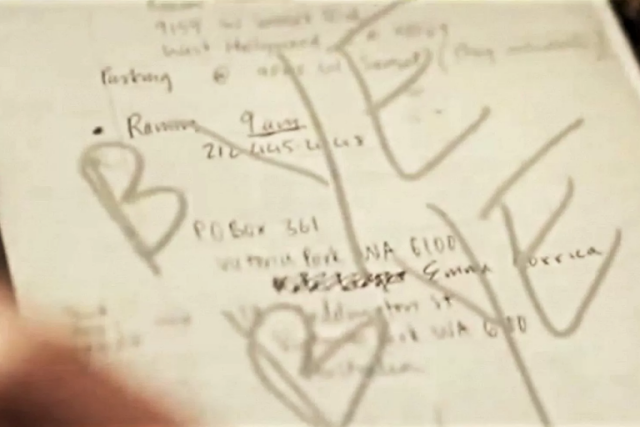 This chilling image shows the last page of his diary. 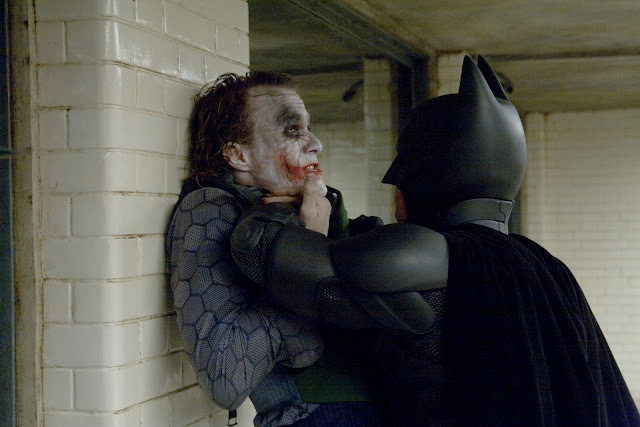 During the shooting of the scene when Batman was questioning the Joker, Ledger actually asked Christian Bale, who played Batman, to punch him in the hardest way he could, in order to provoke a realistic reaction on camera. The mask the Joker wears during the bank robbery is extremely similar to a mask worn by Cesar Romero in an episode of the original Batman TV series from the 1960s. 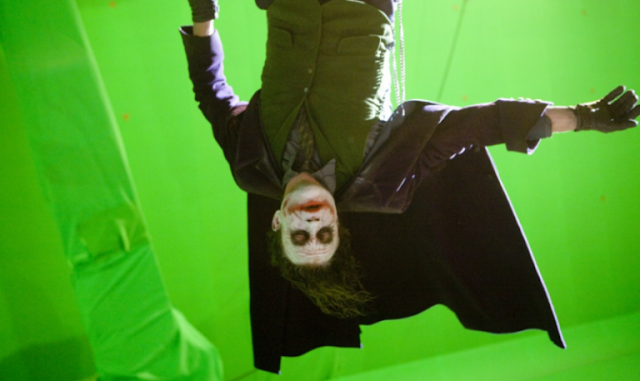 Heath was very much himself on set, and would often skateboard around in his full joker costume. He would do his best to make the other actors and crew relaxed and happy, despite looking like a psychopath in his costume. The script called for a delay in the hospital explosion, but what Heath did with the button was totally unscripted, and a classic moment in the movie. 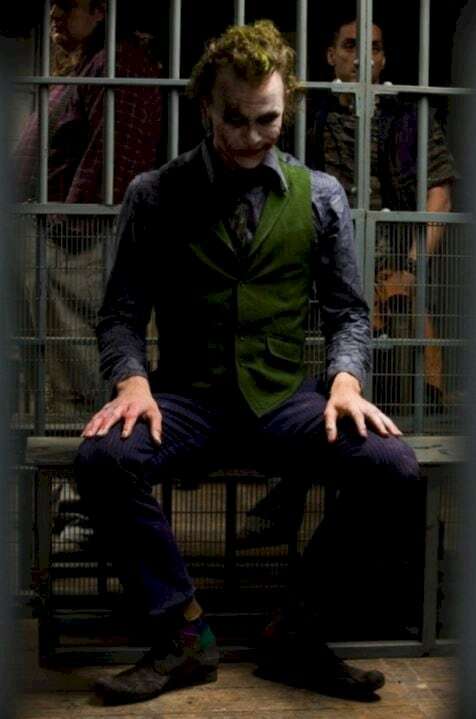 When the Joker crashes the party at Wayne Enterprises, it was the first time actors Micheal Caine and Maggie Gyllenhaal had seen Heath in full make-up. He scared them both so much that Maggie couldn't look at him and Micheal Caine forgot his lines. Originally, Heath Ledger wanted the role of Batman, but that part went to Christian Bale. Nolan kept him in mind though and immediately cast him as the Joker. In The Dark Knight, there are two homemade videos sent to GCN (Gotham City News) by the joker himself to promote terror amongst society. These videos were actually directed by Heath Ledger. 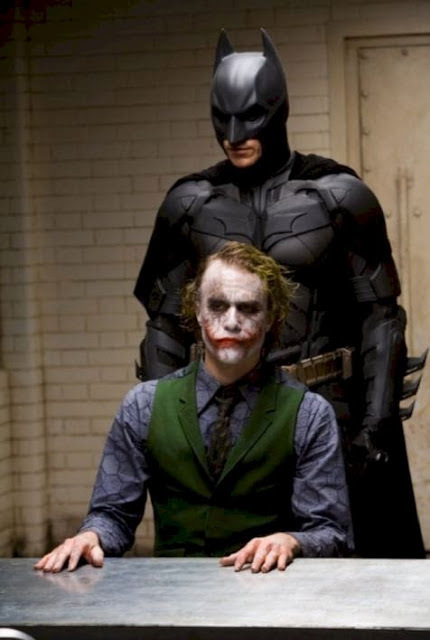 The first video shows the Joker torturing a fake Batman, which director Christopher Nolan supervised. 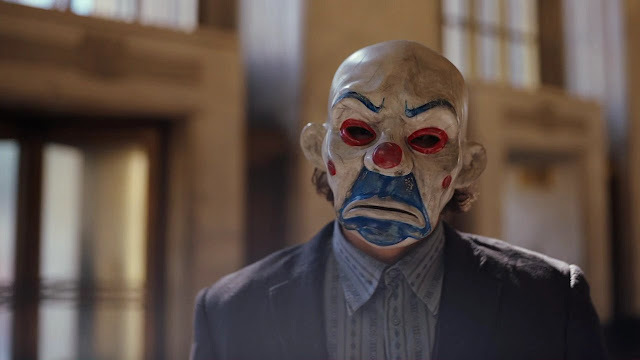 However, after being so impressed by Ledger’s own personal direction of the video, he allowed the actor to have full control over the second tape and felt no need to be there when it came time to film the scene where reporter Mike Engel reads the Joker’s statement. Heath Ledger’s Oscar nomination was coincidentally announced on the first anniversary of his death. He would go on to win 32 Best Actor in a Supporting Role awards for his portrayal of the Joker posthumously. There were only two awards that year that he was nominated for and didn’t win, the Satellite Award and the London Film Critics’ Circle Award for Actor of the Year.